– Improve our relationships with others and ourselves, find relevant archetypal messages and teachings and integrate them into our lives. – Ultimately move to a space of Higher Divine Love. Attend both events, or just one. Both are held at Inna Bliss Yoga, Brisbane. Inspired by the wonderful success and amazing feedback from this workshop in 2015, I am bringing it back with updated material and new information. For those of you who have been asking for this – here it is!! Group Dynamics can be extraordinarily healing, potent and powerful, and in some cases tricky, when managing a wide variety of energies. Working with groups is both an art and a professional practice that takes time to refine, manage effectively and master to bring the greatest potential out of the group dynamic. It requires many crucial skills to be able to powerfully hold space, create safe and trusting environments for deep transpersonal work, the ability to include and embrace all participants, remain centered during the 4 stages of group development and manage both the content of the group work and the energetic exchanges. The skills you learn here can be transposed and utilised with a mutitude of different types of groups. Attendees will receive a certificate of attendance and 10 PD hours. If you work with groups or aspire to, this is an opportunity not to be missed!! Andrew Mournehis graduated from the Phoenix Institute of Australia in 2001 with a very clear vision that his gifts and passions were best directed in the power of group, story, archetype, ritual and the potent healing energy that is exchanged in each others stories, both personal and universal. 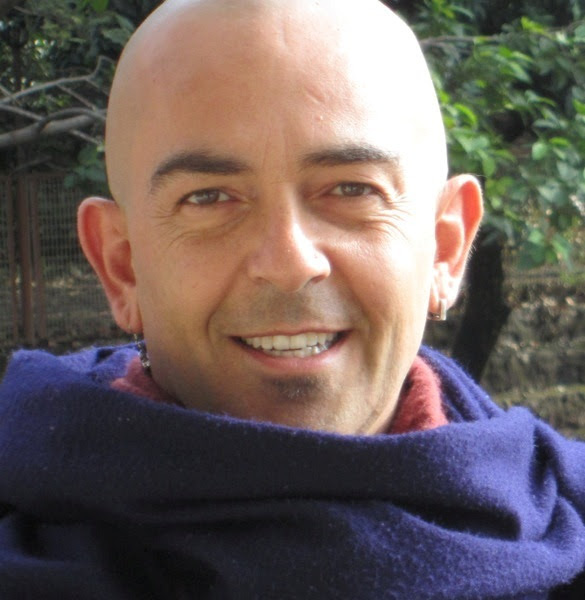 Being an already established yoga teacher, he has spent the past 16 years facilitating healing circles and groups, workshops, intensives, retreats both nationally and internationally working with the healing potential of Yoga and Transpersonal work. He was a lecturer and facilitator at Phoenix Institute of Australia, is currently at Ikon Institute, and is a leading specialist in group work. Come celebrate The Great Night of Shiva! We’ll ecstatically evoke, honour and embody Shiva through an evening of Chanting, Sacred Dance, Embodied Storytelling and Guided Meditations. Shiva sits in meditation AND Shiva dances! Shiva is the Lord of Yogi’s and yogic practice. He is the Lord of Tantra. Shiva, the destroyer, can transmute any of the poisons of life into divine consciousness. MahaShivaratri is known as the most potent time of the year to worship Shiva. A night of auspicious boons for yogis. Worshiping Shiva invokes the experience of the vastness, the all consuming nature of space, all-pervading, omnipresent awareness, AND the lightning bolt like strike of awakening within the void, the transcendence of darkness and ignorance in ourselves and life, the sudden death and rebirth breakthroughs that are the fruit of yogic practice. This is a community celebration of Shiva. Tickets are a $20 donation and all profits go towards charity. Please bring fruits, treats etc to share as Prasad, and any other sacred objects you’d like to charge on the altar and take home with you. Please wear clothes you’re comfortable to perform light dance movements in.